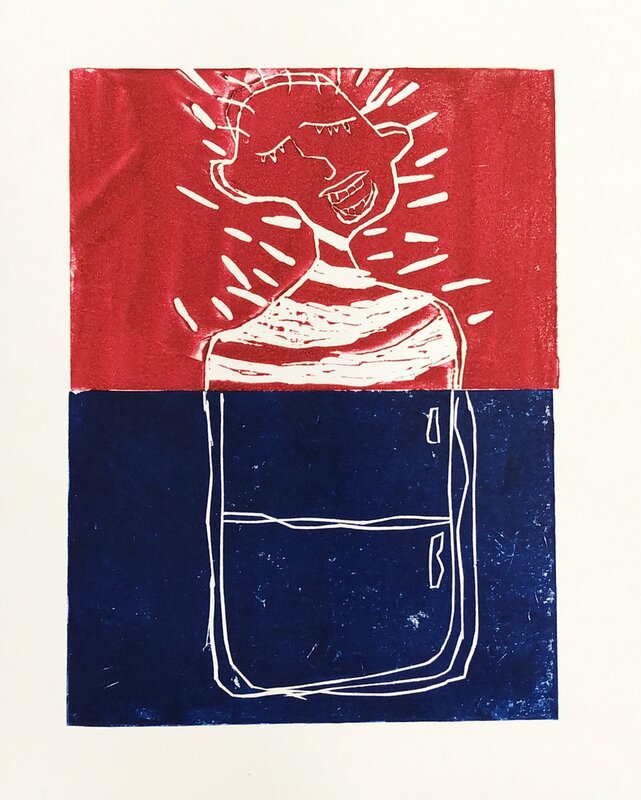 This collection of prints is the result of a Teen Leadership Project from the Palo Alot Art Center. 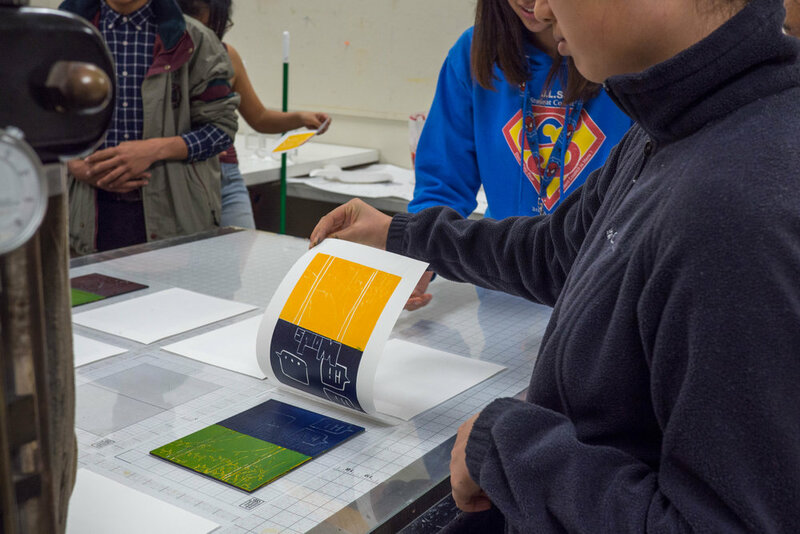 The prints were developed at the City of Palo Alto’s Paula Kirkeby Press; a new printmaking studio at the Cubberley Community Center in Palo Alto. 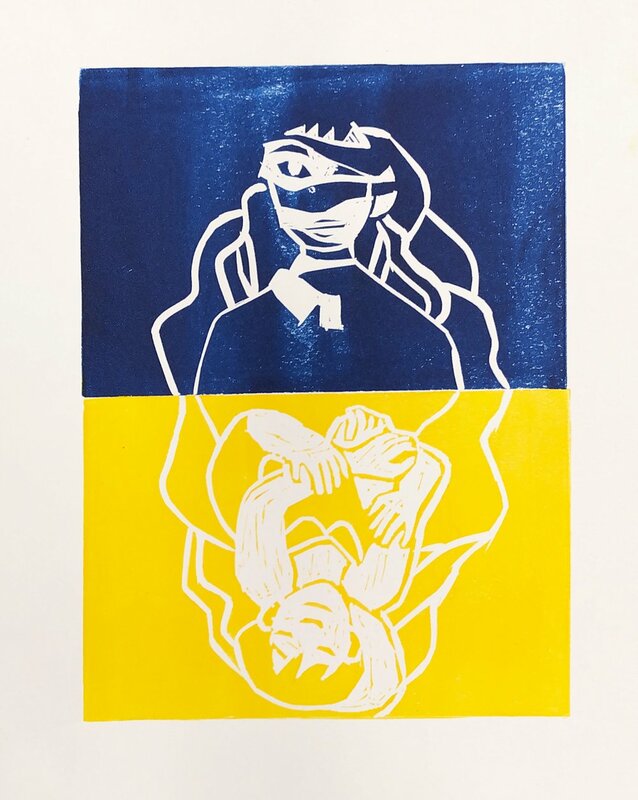 Parallel Portraits is a collection of original prints, each one a dual self-portrait portraying one’s perception of their own online and offline personas. 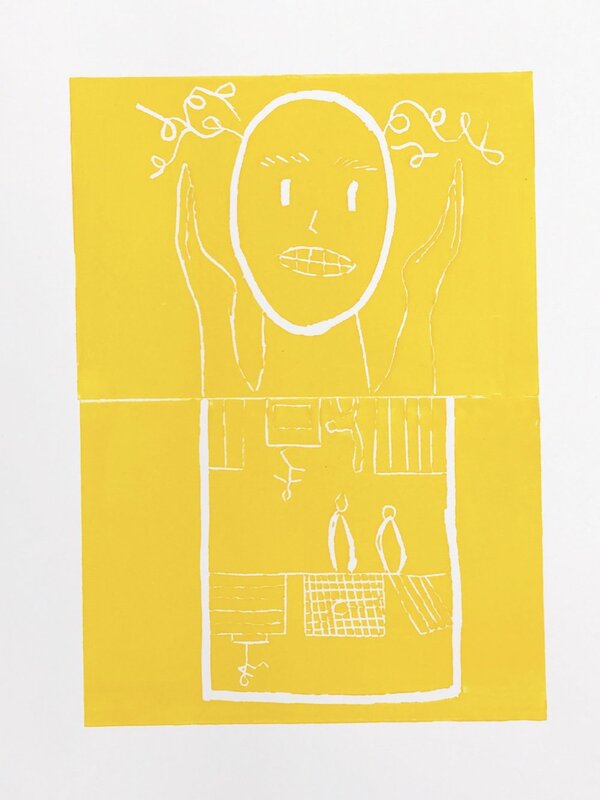 Although the real and virtual self-portraits are separate images, printing them together creates a unifying image. 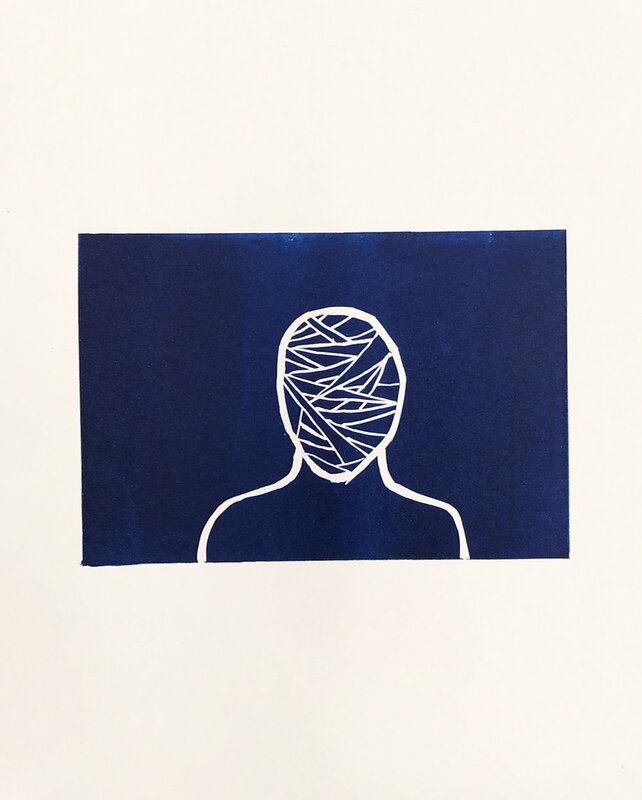 Participants create their portraits by first discussing similarities and differences in the ways they present themselves in the physical and virtual realms. Insights and discoveries from the conversation become the basis for the visual metaphors they choose to represent their physical and virtual personas. 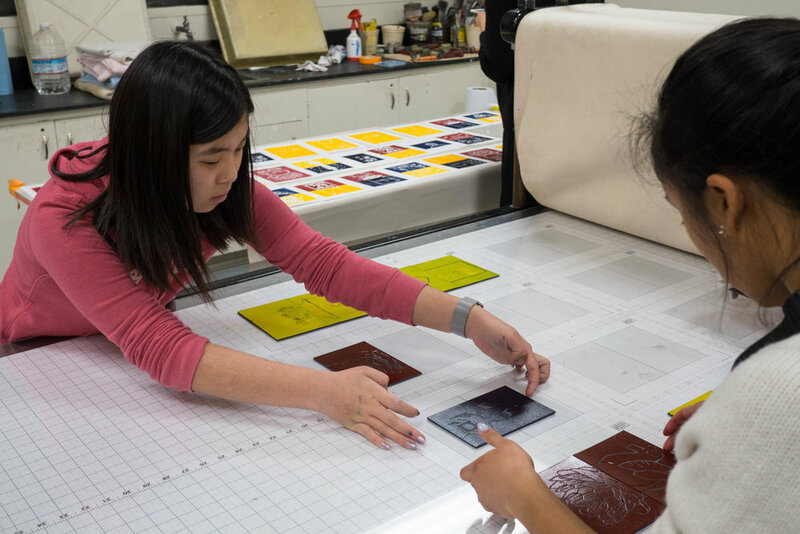 The communal act of printmaking enables participants to create and collect artwork at the same time. 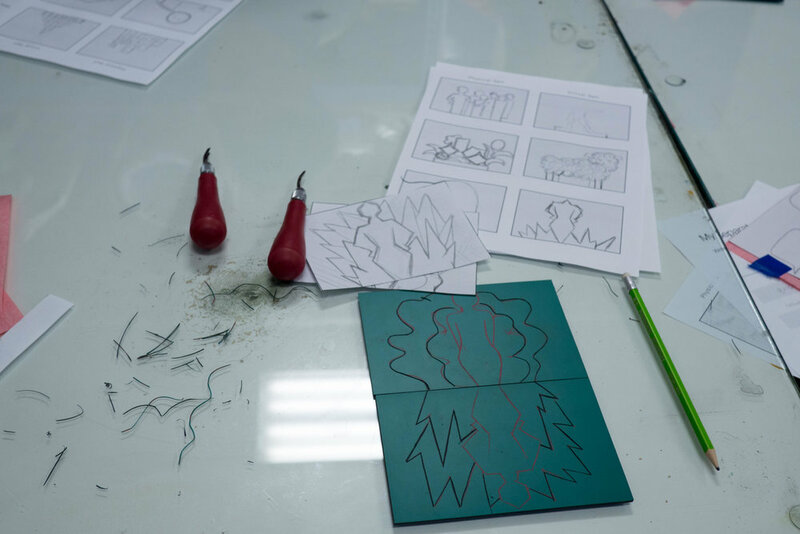 Participants work together in a printshop as they conjure up images, carve out linoleum blocks, and print their blocks on an etching press. 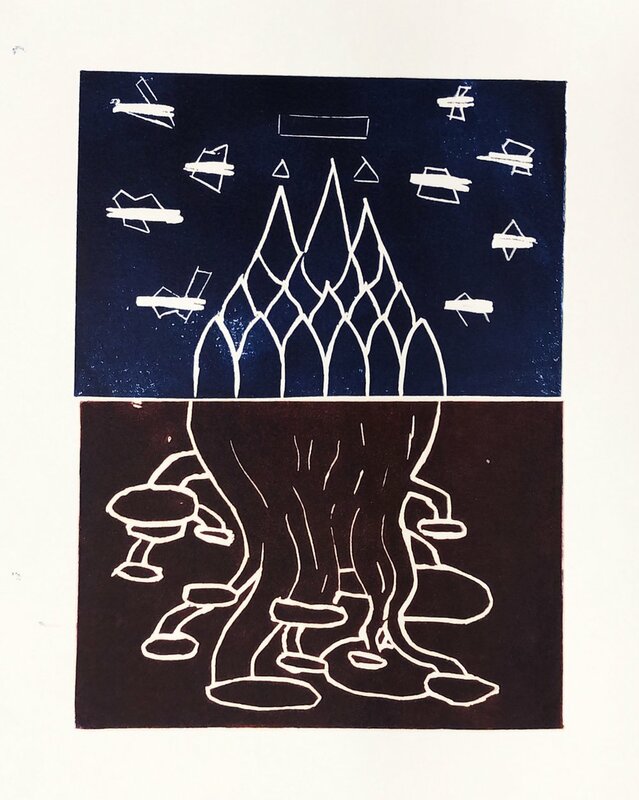 When the group has enough prints, they are able to trade their visual perspectives with one another, much like connecting through social networks. 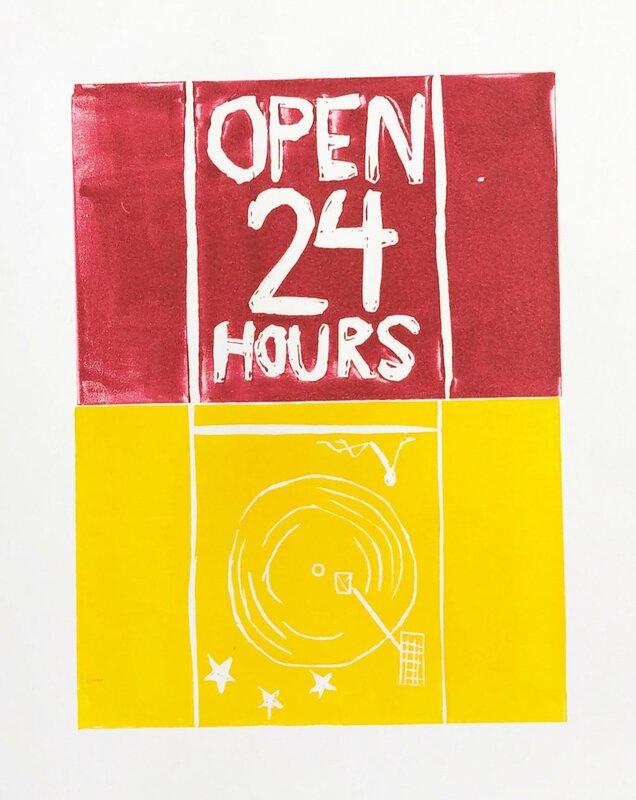 Ready to create a theme portfolio and become part of the Block Paper Print Art Collection?